Though a range-extending generator is available for an extra several thousand dollars to allay range-anxiety fears, the i3 works best as a mid-range EV. Consider the electric-only version, as well as any other cars you own for long trips, before choosing to upgrade. 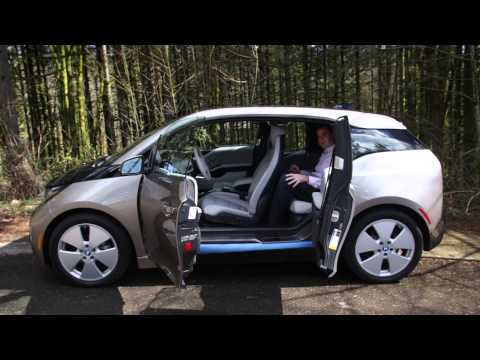 The 2015 BMW i3 is not just a new kind of BMW, but a different sort of car, one that aims to reimagine the way people get around in crowded cities. But the i3 isn't supposed to appeal to BMW M buyers. The electric i3's genius—providing a calm, soothing, capable experience through crowded urban areasâ€”is intended for packed city cores and the crowded neighborhoods of Amsterdam, Jakarta, or Tokyo. In the U.S., it'll sell in and around traditional big cities like New York, Boston, and San Francisco, as well as more affluent areas surrounding cities like Atlanta, Dallas, and Los Angeles. But while the i3 remains a far cry from what U.S. buyers associate with BMW, it's sold in higher numbers than most analysts expected—1,000 units in some months, catapulting BMW to the front ranks of electric-car makers as a percentage of their total output. If you didn't see the i3's blue-and-white roundel badge and twin-kidney (simulated) grilles, you'd never associate it with the rest of the BMW lineup.Â The i3 has a broad stance, with its large, 19-inch wheels pushed out to the corners, and an upright posture that makes it look bigger than it is. But the i3 launches a new design language for the brand's "i" plug-in cars. The lines of the 2015 BMW i3 are distinctive, but far from every buyer's taste; the elegant interior is soothing though spare. The blue hue that rings the blacked-out mock grille up front; BMW calls it Frozen Blueâ€”can be found all over the "i" cars, including on the lower door trim. Another "i" signature is the shiny black surface texture used on the roof, hood, and tailgate, as well as on other details. The BMW i3's design is most successful from the front, front three-quarter, and side views. The snub nose and tall, distinctive profile, in combination with the i3's wide stance and wheels-at-the-corners look, give it a solid presence that belies its relatively small footprint. Big chunky door handles reinforce the sturdy image. The large and handsome 19-inch wheels help give it gravity as well, although the narrow tires can be distracting to the eye when the car is viewed with its front wheels cockedâ€”that's when they look too small for their openings. The cabin interior is equally distinctive, but in a different way. It's unlike any BMW you've seen before and more akin to a loft living room with Scandinavian modern furniture. A small screen behind the steering wheel sits proud of the dash surface, rather than enclosed in a binnacle like virtually every other car's.The 10.2-inch central display screen, controlled via the iDrive knob on the console, also sits on a stalk above a useful wide and shallow bin in the top surface of the dashboard. Details can be finished in a variety of materials and colors. The basic Mega World includes recycled SensaTec upholstery with an instrument panel finished in what BMW calls grain foil. Step up to Giga World, and you get a combination of active-climate wool and olive-leaf tanned leather upholsteryÂ in soft earth tones, complemented by a leather instrument panel and details rendered in open-pore eucalyptus. 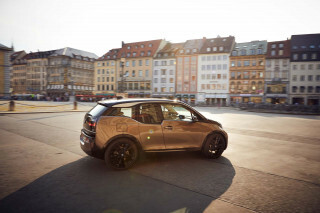 The smooth electric acceleration and tiny turning circle of the 2015 BMW i3 make it easy to whip through crowded streets, but roadholding is quite different from that of any other BMW. BMW has retained a gliding or coasting mode, between acceleration and regeneration, although the software control is now so seamless that you have to watch the power display through the steering wheel to detect it. The strong-regeneration feature can catch new drivers unawareâ€”on our first drive, lifting off the accelerator while going down a parking garage ramp slowed the car to a complete stop, pointed downhillâ€”but it takes only a few minutes to learn, it works well, and offers true one-pedal driving. In most uses, once a driver has learned how to modulate the accelerator, the friction brakes rarely need to be used in real-world conditions. They're mostly for sudden or panic stops. Quiet, smooth, and soothing, the 2015 BMW i3 is deceptively simple and modern inside, making it the perfect car for awful traffic. The 2015 BMW i3 should rank high for safety, though it hasn't yet been rated --and it features many electronic safety systems. 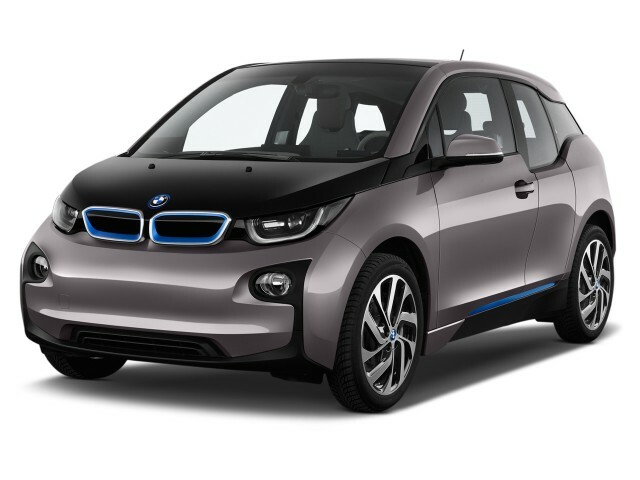 The 2015 BMW i3 may be minimal, but it offers a wide range of electronic features and is packed with technology. The next step up—though hardly 1,000 times as good, as its name denotes—the Giga World provides a different 19-inch wheel design, a universal garage-door remote, proximity key lock/unlock functionality, leather upholstery with wool cloth in earthy tones, and the Smoker's package. Finally, the Tera World (another increment of 1,000!) adds full leather in dark brown and its own 19-inch wheel design to the Giga's extras. The 2015 BMW i3 is powered by grid electricity, and it's the most efficient car sold; its range-extending engine is a clever optional feature. The i3 has an average rating for electric rangeâ€”81 milesâ€”but the i3's lightweight, purpose-built construction, and dedicated drivetrain have all been optimized around the goal of extracting maximum distance from every stored electronâ€”and it works. The battery-only version of the i3 gets a rating of 124 MPGe, beating the new longer-range 107-mile 2016 Nissan Leaf, which is rated at 112 MPGe combined. (The MPGe unit describes the distance a car can cover using the same amount of energy from its battery as is contained in one gallon of gasoline. 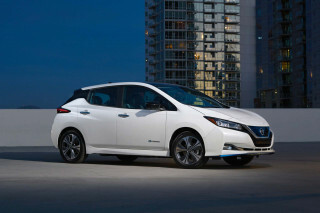 )Â Models equipped with the range extender beat the Leaf too, with a score of 117 MPGe combined. The BMW i3 comes standard with a DC quick-charging port that works on the Combined Charging Standard protocolâ€”although so far there are fewer stations using that standard than there are CHAdeMO stations that can be used by a Leaf. However, virtually all new DC quick-charging stations now being installed are "dual-standard," with two cables, one for each protocol. 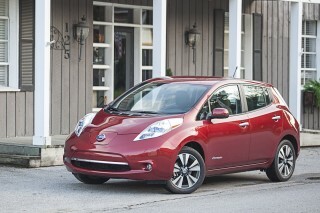 This site rates every battery-electric vehicle at 10 on our "Green" scale. The differences in efficiency among plug-in electric cars matter less than their ability to run on grid power, which automatically makes them some of the greenest cars you can buy. Even if an electric car is recharged from the oldest, dirtiest coal power plants in the nation, it remains cleanerâ€”comparing "wells-to-wheels" carbon emitted through the process of creating and transporting the fuel as well as powering the carâ€”than any gasoline car sold today that isn't a hybrid. Very happy with this car. Much bigger than it looks in photos. Can't beat driving around in silence. On the downside, the instruction book is abysmal and I can't get the automatic reverse parking to work - not... Very happy with this car. Much bigger than it looks in photos. Can't beat driving around in silence. 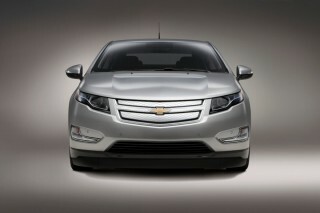 We just love it, we should have purchased the all electric non iRex model. Two month of ownership and driving by gasoline stations PRICELESS. We just love it and use our solar panels to charge it. I drove the BMW i3 for the first time. 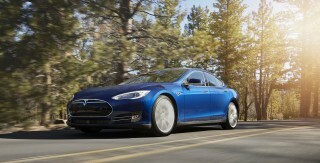 It was a test drive and afterwards I had appointments to drive other electric cars. Wrong. I should have driven the other ones first. The other cars were disappointing... I drove the BMW i3 for the first time. 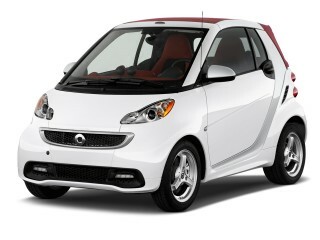 It was a test drive and afterwards I had appointments to drive other electric cars. Wrong. I should have driven the other ones first. The other cars were disappointing, because the BMW is so intuitive. It like iPhone and Android. This BMW feels like you've already owned and driven it for years. Would love to have greater range. The most advanced engineered car produced with exceptional quality. Tha car needs to have a greater range. The home level two charger by Bosch has worked flawlessly to date. 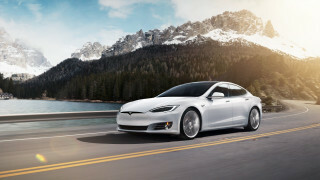 Half the price of a Model S Tesla, but NOT half the car. I'm driving on sunshine and haven't been to a gas station in 6 months - totally sold on electric vehicle - the only way to go!